Police is a function of state in the human form which is present everywhere and intertwined in the fabric of the city. 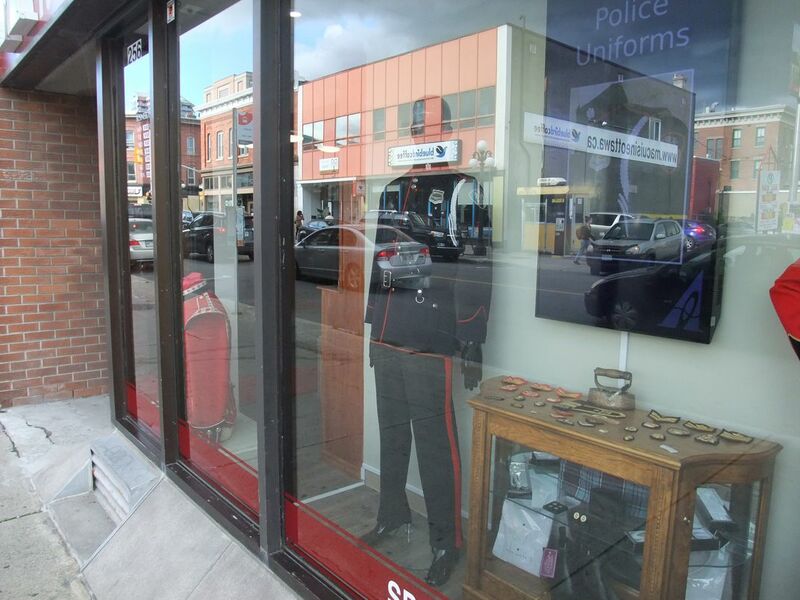 When I photographed this window display the light transpired and blended the actual street into the uniform, it reflects that the police function as an intertwined entity of the state. Date Uploaded: Sept. 29, 2018, 9:16 p.m.